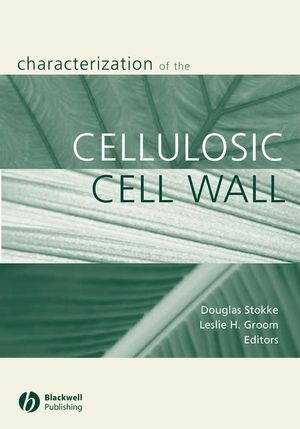 This volume brings together a broad array of scientific expertise to focus on the characterization and utilization of cellulosic materials. Researchers from Austria, Germany, Sweden, Japan, New Zealand, Australia, and the U.S. explore many facets of the plant cell wall, from its fundamental structure and its manipulation via molecular biology to its application in composite materials. Exciting applications of near infrared spectroscopy, x-ray diffraction, confocal microscopy, and molecular coupling as a viscoelastic probe provide new insights into the ultrastructure and properties of cellulosic materials. Douglas D Stokke is Assistant Professor at Department of Natural Resource Ecology and Management, Iowa State University, and is past president of the Society of Wood Science and Technology. Leslie H. Groom is Project Leader for the Utilization of Southern Forest Resources Research Unit of the U.S. Department of Agriculture, Forest Service, Southern Research Station. Part 1: Cell Wall Assembly and Function: New Frontiers. 1. Tracheid and Sclereid Differentiation in Callus Cultures of Pinus radiata D. Don: Toward an In Vitro System for Analyzing Gene Function: Ralf Möller, Armando G. McDonald, Christian Walter, Philip J. Harris. 2. Optimizing for Multiple Functions – Mechanical and Structural Contributions of Cellulose Microfibrils and Lignin in Strengthening Tissues: Lothar Köhler, Frank W. Ewers, and Frank W. Telewski. 3. Mechanics of the Wood Cell Wall: Ingo Burgert, Jozef Keckes, and Peter Fratzl. 4. Prediction of Wood Structural Patterns in Trees using Ecological Models of Plant Water Relations: Barbara Gartner. 5. Preparation and Properties of Cellulose/Xylan Nanocomposites: Sofia Dammström, Wolfgang Glasser, and Paul Gatenholm. Part 2: Probing Cell Wall Structure: Advances in Analysis. 6. Determining Xylem Cell Wall Properties Using Model Plant Species: Lloyd Donaldson. 7. The Temperature Dependence of Wood Relaxations: A Molecular Probe of the Woody Cell Wall: Marie-Pierre Laborie. 8. Rapid Estimation of Tracheid Morphological Characteristics of Green and Dry Wood by Near Infrared Spectroscopy: Laurence R. Schimleck, Christian Mora, and Richard F. Daniels. 9. Potential titles: Characterization of Wood and Wood Composites by FTIR Chemical Imaging/Advanced Analytical Tools for Characterization of Wood: Nicole Labbé, Timothy Rials, and Steve Kelley. 10. Near-Infrared Spectroscopic Monitoring of the Diffusion Process of Deuterium-Labeled Molecules in Wood: Satoru Tsuchikawa and H.W. Siesler. 11. Wood Stiffness by X-Ray Diffractometry: Robert Evans. Part 3: Mesostructure and Applications: Science in Practice. 12. Selected Mesostructure Properties in Loblolly Pine from Arkansas Plantations: David E. Kretschmann, Steven M. Cramer, Roderic Lakes, and Troy Schmidt. 13. Changes of Microfibril Angle after Radial Compression of Loblolly Pine Earlywood Specimens: Chih-Lin Huang. 14. Variation in Kink and Curl of Longleaf Pine (Pinus palustris) Fibers: Brian Via, Todd F. Shupe, Leslie H. Groom, Michael Stine, and Chi-Leung So. 15. Effect of chemical fractionation treatments on silicon dioxide in the cell wall of Oryza sativa: Maria Inglesby, Delilah F. Wood, and Gregory M. Gray. 16. Characterization of Water Soluble Components from MDF Fibers: Armando McDonald, Andrew B. Clare, and A. Roger Meder. 17. Effects of Refining Pressure on the Properties of Individual Wood Fibers: Leslie H. Groom, Chi-Leung So, Thomas Elder, Thomas Pesacreta, and Timothy G. Rials. 18. Wood Structure and Adhesive Bond Strength: Charles R. Frihart. 19. Adhesion Mechanisms of Durable Wood Adhesive Bonds: Douglas J. Gardner.